Another one from the archives. 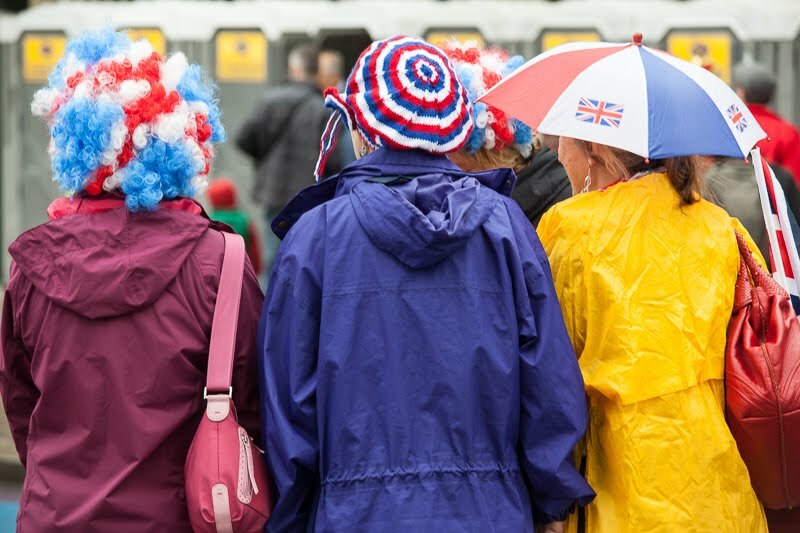 Remember the wet and cold day during the Jubilee celebrations as thousands lined the banks of the Thames to catch a glimpse of the Queen sail by. A colourful photo despite the weather. Fantastic capture! All very patriotic and all very different. That is a cute shot. Hope you feel better. Fun and nice to make something special out of special events! Well seen! Most people would just have past without using the camera! superb post.....i like the Queenstown Hotels just like home.